Celebrate ‘porg Pandemonium’ with Posh Paws! We’ve managed to get our hands on 5, 10 inch porg soft toys to give away. 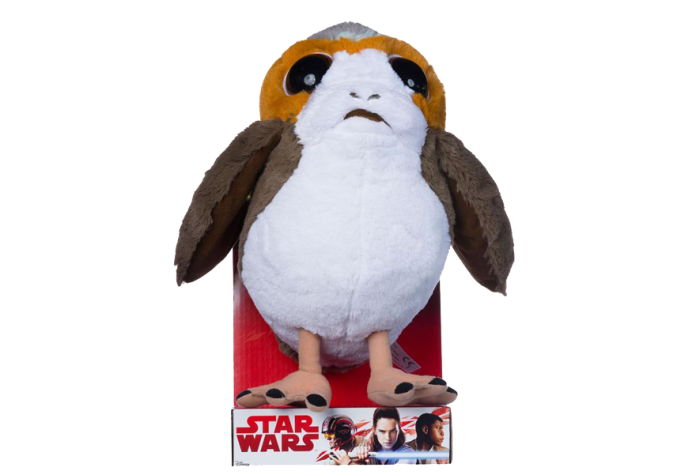 Since the first appearance of porgs in Star Wars: The Last Jedi, Posh Paws, renowned for its soft toys is seeing a frenzy of activity at the tills, with fans keen to get their hand on their very own cuddly porg. The usual T&Cs can be found here. Good Luck! Competitions is the place on HeyUGuys that you can come for a staggering amount of free giveaways from the world of movies and small screen TV. New competitions appear on a weekly basis.